This is an unusual unpasteurized sake that has been aged in refrigeration for many years. Chōchōkyū means 'a long, long time' . The 2007 line used only local Yamadanishiki rice, the 2010 uses a combination of Yamadanishiki and Omachi rice. Nakano BC established in 1961. Kinokuniya Bunzaemon is it's primary brand. It also produces many types of plum wine and since 2007, it also began producing a line of matured pure sake called Chōchōkyū. 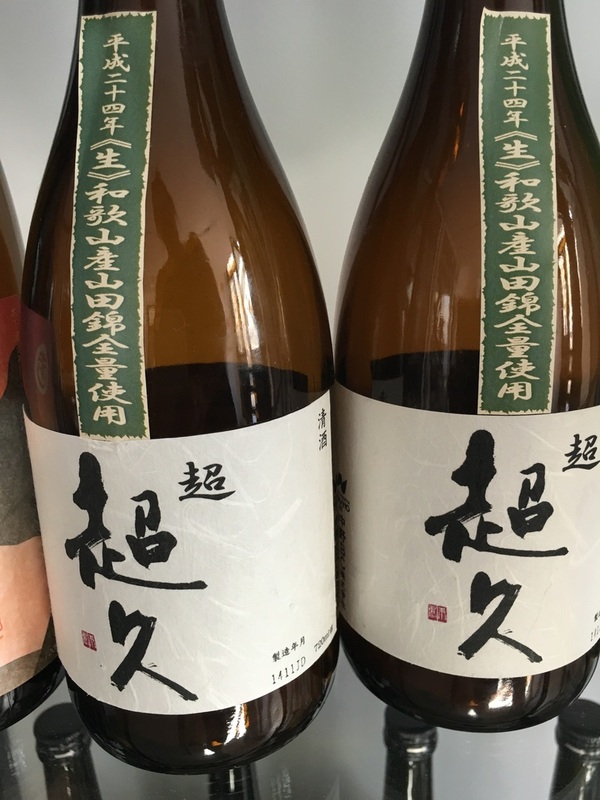 Bursting with umami , the high amino-acid content and balancing acidity makes this a perfectly balanced sake a bit on the the sweet side Powerful big body, but also soft rice aroma and alluring flavors of maturation, due to aging below zero. Drink cold in a wide mouth glass to enhance the slightly fruity rice aroma. Also very good warm.